A globally respected university that ranks among the world’s top 40. One of Canada's leaders in engineering research. Each year, we admit an outstanding group of students who join our community and explore their research interests while helping to create new knowledge, understanding, and expression. Our students access an experiential curriculum, laboratories, libraries, and institutes as they build connections with outstanding network of peers, faculty and staff. Consider joining us at UBC. Our research clusters (advanced materials and manufacturing, advanced systems, clean technologies and environmental systems, health technologies and urban infrastructure and green construction) are making waves. Research conducted at the Okanagan campus of the University of British Columbia ranks above or on par with per publication outputs in top citation percentiles amongst the top five engineering universities in Canada. Research funding growth rate has an annual equivalent average of over fifty-percent. The School of Engineering has a diverse and inclusive community of students and faculty. Amongst our student body, 60 countries are represented. Our Aboriginal enrollment has increased by 35% since 2013. For over a decade, researchers at the School of Engineering on UBC’s Okanagan campus have been building partnerships to innovate in areas as varied as fuel-cell technology, composite materials, wearable devices, wastewater recovery, microfluidics, industry 4.0, intelligent systems, smart materials, transportation and nano-technologies. World-class faculty and facilities enable us to support many stakeholders in the community including students, industry, not-for-profit organizations, and the general public. The first-year curriculum of a Bachelor of Applied Science (BASc) degree at UBC Okanagan emphasizes project-based learning. With a solid foundation from their first-year, students then choose a specific program following their first year: Civil, Electrical, or Mechanical Engineering. Integrated and advanced project learning through interdisciplinary thinking involving Civil, Electrical and Mechanical Engineering empower graduates to advance their careers in academia or industry. Three degrees are offered at the School of Engineering including MASc, MEng and PhD. UBC provides financial assistance through scholarships and bursaries for students in need. Submit your undergraduate application by clicking on the link below. Submit your graduate application by clicking on the link below. Connect with admissions and financial advisors who can help guide you through the application process. Visit the Admissions Blog. 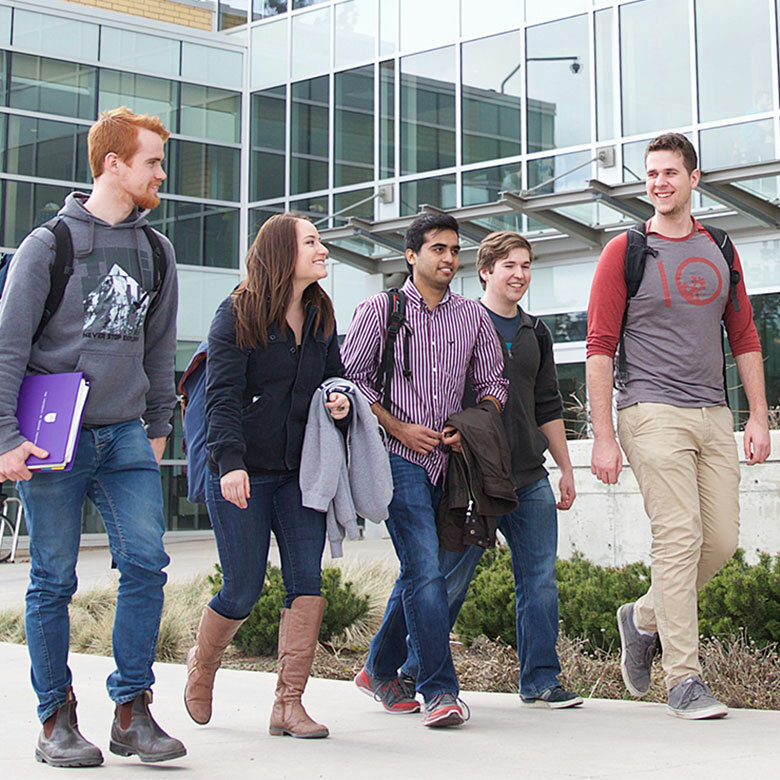 Explore the UBC Okanagan campus and find answers to your questions about applying, admissions, finances and more. Visit the Campus Tours.